Enjoy this gorgeous handcrafted cotton Christian crosses and fishes key fob from Jude Harbor. The small crosses and fishes make this a perfect statement piece, while still being easy to use and carry. Wristlet key fobs allow you to carry your keys, id badge, and whistle on your wrist or in your handbag or pocket. Keeping track of your keys and store key chains cards is easier than ever! The key fob is lightweight and a comfortable size. 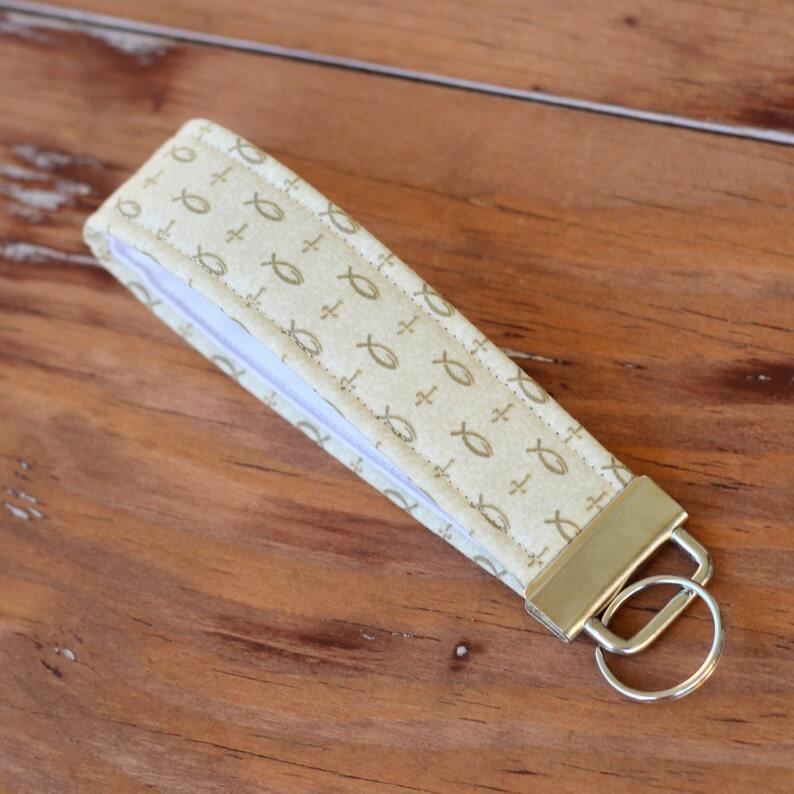 Each of the key fobs is lined in grosgrain ribbon for added comfort. They each also include a coordinating small decorative charm.